LONDON, UK, 2017-Dec-11 — /Travel PR News/ — The two large-scale projects, worth up to £1million, and one pilot, worth up to £500,000, will develop England’s competitive tourism offer. The winning bids include a project to build on the North of England’s growing reputation as a first-class destination for cultural holidays, encourage tourists to the Midlands to explore England’s waterways and to create adrenaline inspired short-breaks in Sheffield. The successful projects follow the 33 bids that have secured funding to date from the Discover England Fund. In Years 2 and 3, the fund is supporting destination-led collaborative bids worth more than £1million, and a series of pilots. It continues to fund existing Year One projects that demonstrated early success. The three successful applicants announced today are listed below. 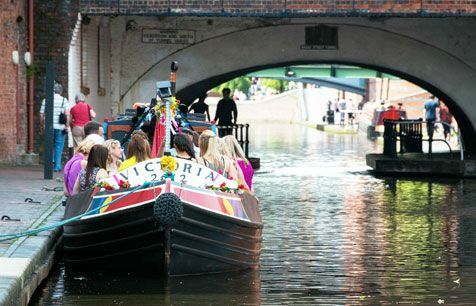 Following a successful Year One pilot, this project will target international visitors, inspiring them to explore the waterways of England and discover ‘England’s heartland’ – focusing on the areas in and around Birmingham and the wider Midlands. The project will undertake a programme of product development and awareness-raising among the travel trade to incorporate more of the country’s waterways and the wider cultural offer into a portfolio of canal and river-centred holidays. This project will create culturally-themed, bookable products across Newcastle, Hull, Leeds, Manchester and Liverpool for audiences in near European markets – the Nordics, Germany and the Netherlands. These former industrial cities are experiencing a regeneration-driven cultural renaissance and the new ‘Collections’ will package up transport, accommodation, art, music, literature, theatre, dance, architecture, festivals and events that showcase the artistry thriving in the northern cities of England. Tapping into the emerging market for adrenaline breaks, this project uses the ease of access to Sheffield from Northern Europe (by air, car, ferry or train) to target young active explorers from Germany, the Netherlands, and the Nordics. ‘Adrenaline fuelled city breaks’ will allow visitors to book accommodation, food and drink options, night-life choices and adventure sports activities based on their personal preferences for breaks of up to three nights. This entry was posted in Attractions, Tourism, Travel, Travel Management, Travel Marketing and tagged Discover England Fund, Sally Balcombe, Urban Collective and Renaissance Collection, VisitEngland, Waterways of England. Bookmark the permalink.